In Balanced Achievement’s ‘The Weekly 5’ series, we aim to present you with five ideas, products, or stories that will motivate you to take steps towards enhancing the quality of your life. We will look at a wide variety of topics with information that can assist you on the road towards ultimate fulfillment. This week, we look at five inspirational stories from some of history’s most Famous Failures. If you explore the lives of history’s most successful individuals, the true immortals, you will discover that they relied on a variety of different personal characteristics and skills as they made their way towards immense fortunate and enduring fame. It is easy to see how different fields and professions demand different talents and abilities, and this makes it easy to point out the dissimilarities of individuals who have forever etched their names in the history book of success. For example, the qualities that Mahatma Gandhi needed to exhibit while leading millions towards peaceful independence from the British Raj differ greatly from the physical talents that Babe Ruth put on display when he was captivating an entire country. While there are plenty of differences that can be pointed out, there are also a number of similarities between the stories of those who have achieved truly great things. Maybe most importantly, is that every person to be remembered as a great success understood that failure is part of the achievement process. There is no questioning the fact that the vast majority of history’s immortal successes can just as easily be labeled as famous failures. By exploring the lives of five of the most successful famous failures, we can begin to understand why setbacks and challenges shouldn’t be viewed negatively, but rather seen as nothing more than opportunities to learn and grow. Walt Disney will forever be remembered for revolutionizing the industry of animation and building the Disney theme park empires that still annually attract millions of people today. Over the course of his lifetime, Disney created over 80 featured films, accumulated hundreds of honors, including 22 Academy Awards, and opened the monumental theme parks in Florida and California that are synonymous with his name. The road to immortality for Disney, however, wasn’t without bumps and setbacks along the way. In fact, Disney dealt with levels of adversity that would certainly cause many give up on their dream. Walt’s first setback came at 22-years-old, when he was fired from a Missouri newspaper who said he lacked creativity and didn’t have the imagination to conceptualize good ideas. Disney also saw one of his earliest ventures, Laugh-O-Gram Studios, go bankrupt, and had one of earliest cartoons, Oswald the Lucky Rabbit, stolen by a company that hired away the artists who were drawing for Walt’s company. Furthermore, Disney was told by MGM studios, in 1927, that his cartoon Mickey Mouse would never work. By writing and publishing the momentously popular Harry Potter book series, J.K. Rowling etched her name in the history books and became the most successful author of the last century. To date, the seven Harry Potter books that she wrote have amassed over $400 million dollars in sales, and in the process accrued over $20 billion more through movie adaptations, merchandise, and sponsorships. For her writings, Rowling has won numerous awards, including a Hugo Award for best novel, and became one of only a few women to become a self-made billionaire. Since Rowling’s successes are so immense and profound, it is easy to forget about her truer story which is filled with immense trials, setbacks, and obstacles. Just after she began writing the first book of the Harry Potter series, in 1991, Rowling was sent into a deep state of depression by her mother’s unexpected death. Over the next few years, Rowling made little progress on the book as she moved to Portugal, fell in love, had a child, fell out of love, and went through a disheartening divorce. Upon returning home to England devastated and still depressed, Rowlings was faced with the challenge of raising her child as a single mother with nothing more than unemployment benefits. Eventually, Rowling found the strength to continue writing while her daughter took naps, yet still, the initial Harry Potter manuscript was denied by 12 different publishers and Rowling was advised to look for a day job because she had no future writing children’s books. Albert Einstein is considered to be the most important and influential scientist to ever grace our presence on this earth. Not only did Einstein develop the mass/energy equivalence formula of E=mc2, but he also conceptualized the theory of general relativity, which is one of modern physic’s two primary pillars. Thanks to Einstein’s work, everyday objects such as the television, remote control, and digital camera were able to be developed. In 1921, Einstein received a Nobel Prize in Physics for the tremendous contributions he made to his field and was named TIME’s Person of the Century in 1999. Today, Albert Einstein’s name may as well be used as a synonym for words like as intelligence and genius, yet in his younger life, Einstein struggled with his intellectual endeavors. It is said that as a young boy, Einstein didn’t begin speaking until he was four years old and couldn’t read until he was seven. For these reasons, his earliest teachers actually believed that he was slow or mentally challenged. 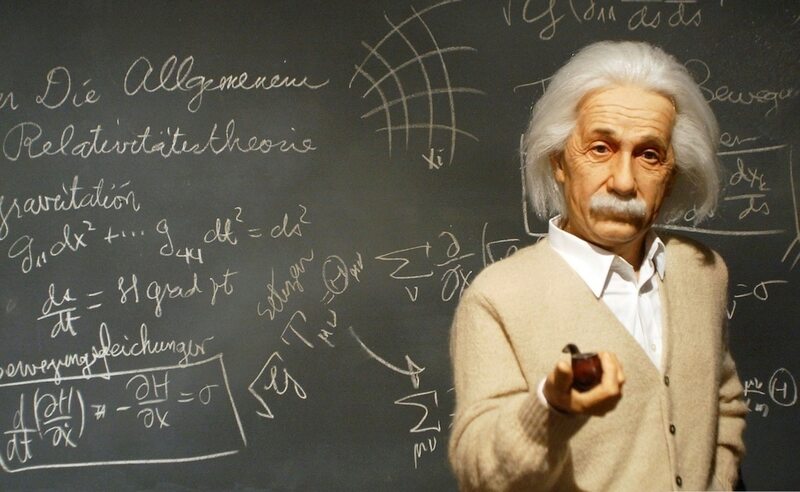 Additionally, Einstein gained the reputation as being as terrible student who often skipped class throughout his time at the renowned Swiss Polytechnic School. At one point during his time there, he was doing so poorly that he nearly dropped out to sell life insurance. Upon graduation, Einstein spent two years searching for an academia position that wouldn’t come. If you are reading this article right now, there is definitely a chance that you are using a device that was created by former Apple CEO Steve Jobs. After founding the company in 1976, Jobs helped pioneer the digital revolution of the 80s that forever changed the way we live. Throughout his time at Apple, the company gained a reputation for modernizing the world of technology and introduced innovative devices such as the iPod, iPhone, and iPad. At the time of his death in 2011, it was estimated that Jobs had amassed a fortune of $10.2 billion. While Steve Jobs will forever be remembered for his accomplishments during the pinnacle of his success, his path towards greatness was hindered by a number of setbacks, challenges, and failures. In 1983, just seven years after founding Apple, Jobs made the decision to hire John Sculley, the president of Pepsi at the time, to run the company and within two years, Sculley had convinced the board of Apple that Jobs needed to be fired. After leaving Apple, Jobs started another computing venture that he called NeXT which would never lead him to any success. Additionally, a number of devices that Jobs’ helped to create, such as The Apple Lisa, Macintosh TV, and The Powermac g4 cube, would similarly never result in success. Throughout his career as an inventor, Thomas Edison obtained 1093 U.S. patents, a record that he still holds, and is responsible for some of history’s most important inventions. Included in his lengthy list of creations, you will find many essential everyday objects, that we take for granted, such as the light bulb, motion picture camera, and music phonograph. Additionally, Edison is credited with creating the first modern research laboratory, which has helped advance numerous scientific fields. Due to his work as an inventor, countless awards and medals have been bestowed in his honor. While Thomas Edison is considered by many to be the most influential inventor in human history, his path towards immortal fame was permeated by setbacks and failures that caused many to question his abilities. It is said that when Edison was a young boy, his teachers believed that he was ‘too stupid to learn anything.’ Edison was also fired from his first two jobs because his bosses believed him to be unproductive. Once Edison did become an inventor, he similarly faced failures on an enormously large scale. It is believed that he made 1,000 unsuccessful attempts at creating the light bulb before he finally succeeded on attempt 1,001. Regardless of the industry or profession, it is certain that the world’s most successful individuals all encountered great failures that they were forced to overcome. By examining the lives of those who can be considered famous failures, you will begin to see how setbacks and obstacles are part of the achievement process. The likes of Michael Jordan, Abraham Lincoln, Steven Spielberg, Bill Gates, Marilyn Monroe, Henry Ford, Oprah, The Beatles, and many more, all failed before becomes immortal icons across their various fields. As you pursue your deepest held goals and desires, it will be vital that you understand this all important truth.